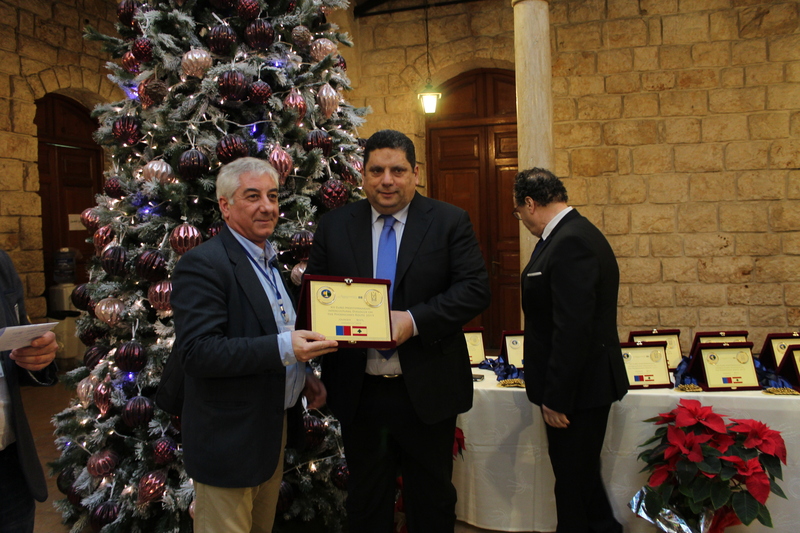 On January 9th-12th the XII Euro Mediterranean Intercultural Dialogue on the Phoenicians’ Route was held in Lebanon. 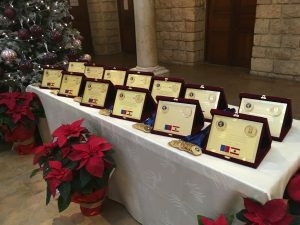 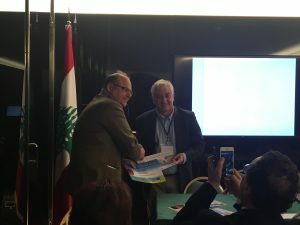 The event was organized under the patronage of His Excellency Minister of Tourism in Lebanon and in affiliation with the Lebanese Ministries of Tourism and Culture, the Lebanese American University – LAU, LAU-Louis Cardahi Foundation and the Municipalities of Jbail-Byblos, Jounieh, Saida (Sidon) and Tyre. Four days of intense work in Lebanon between international meetings, scientific conferences and cultural and tourist planning. The members of the Scientific and Steering Committee and of our Presidency Bureau from Cyprus, Lebanon, Spain, Malta, Croatia, France and Italy attended the meeting. 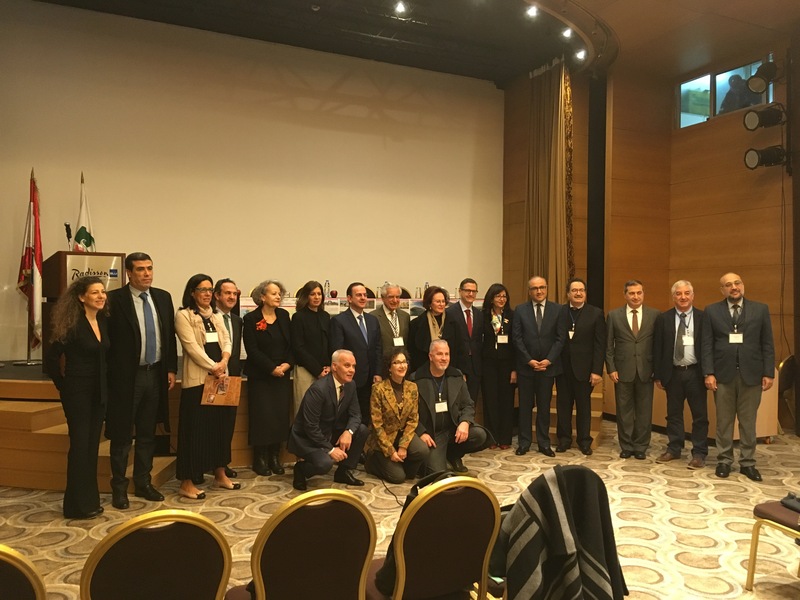 On behalf of the Council of Europe Dr. Stefano Dominioni, Director European Institute of Cultural Routes and Dr. Barbara Toce, Vice-President Congress of Local and Regional Authorities CoE. 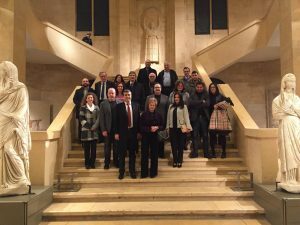 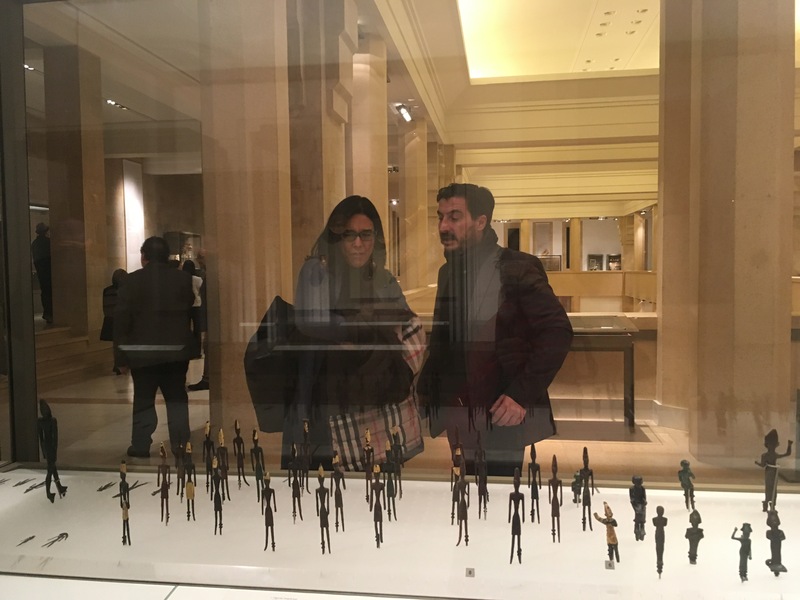 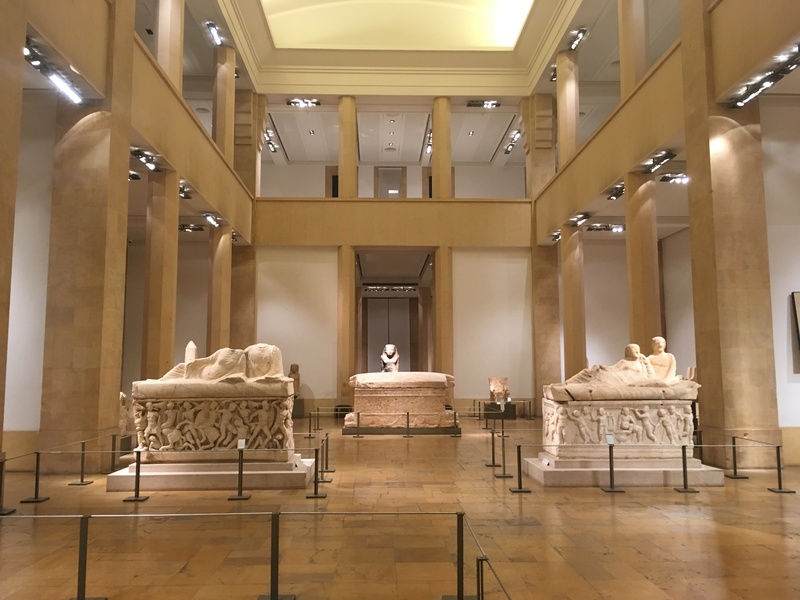 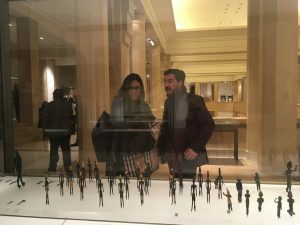 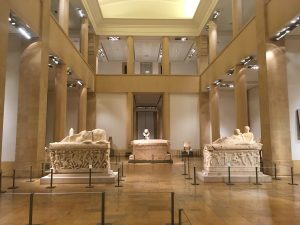 On the evening of January 9th, the participants were welcomed at the National Archaeological Museum in Beirut by Dr. Sarkis Khoury, General Director of the Department of Antiquities and Mr. Rabih Chaddad, Head of Tourist Festivals, Ministry of Tourism. 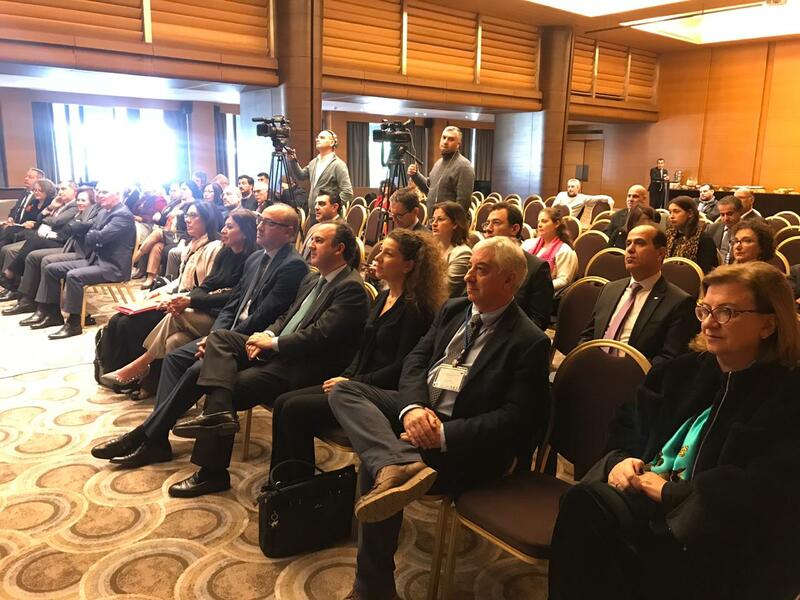 Thursday, January 10th the opening ceremony was held at the Radisson Blu Hotel, Beirut Verdun in the presence of His Excellency Mr. Avedis Guidanian, Minister of Tourism, H.E. Dr. Nada Sardouk, General Director Ministry of Tourism, Dr. Rachid Chamoun, President of the Phoenicians’ Route, Dr. Joseph Jabbra, President of the Lebanese American University and Dr. Stefano Dominioni, Director European Institute of Cultural Routes of the Council of Europe. 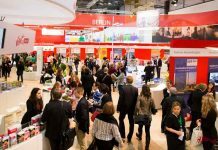 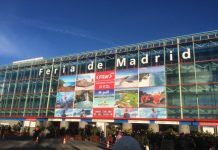 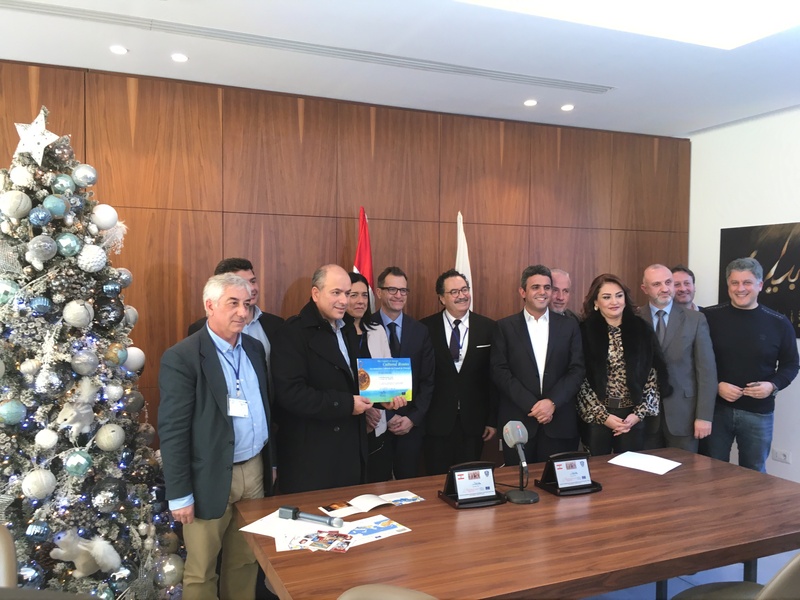 It was held under the patronage of the Lebanese Minister of Tourism and attended by high-ranking officials, ambassadors, scholars, and heads of public and private institutions, among others. In her welcome address, Director General of the Ministry of Tourism Nada Sardouk pointed to the significance of the event in “attracting a cultural-touristic movement toward Lebanon” while Guidanian revealed that the number of tourists in Lebanon reached two million in 2018 – up 300,000 from the previous year. He also affirmed that the event “promotes Lebanon’s position as the homeland of the Phoenicians”. 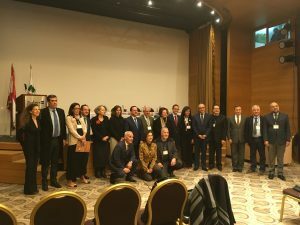 In his speech, LAU President Joseph G. Jabbra referred to the project as “absolutely essential in providing the opportunity for exchange between Lebanon and the rest of the Euro-Mediterranean countries”. 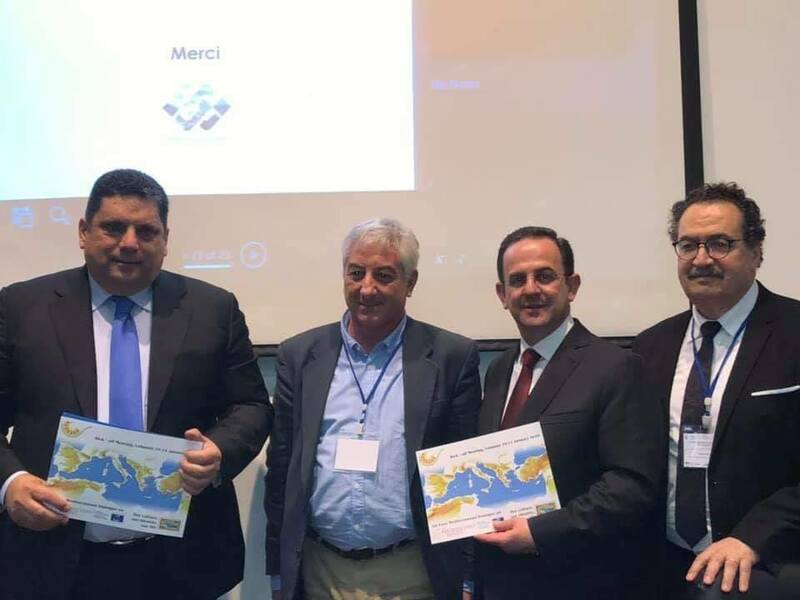 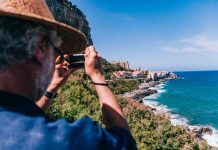 Dr. Rachid Chamoun, who was recently elected President of the International Confederation of the Phoenicians’ Route, declared this “more of a mission than a project”. 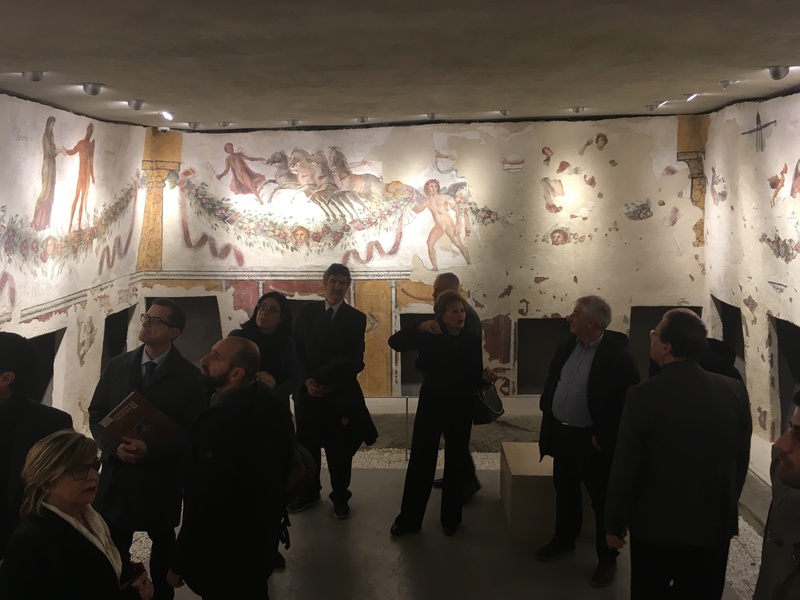 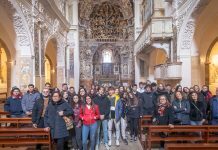 He gave a brief overview of how the collaborations came to be, both between LAU University and the two ministries, and with the Institute of Cultural Routes of the Council of Europe. Representing the Minister of Culture at the opening event was Dr. Sarkis Khoury, the Director General of the Department of Antiquities, who saw in celebrating national heritage “a chance to preserve our very identity in the face of ongoing struggles that test Lebanon and countries the world over”. 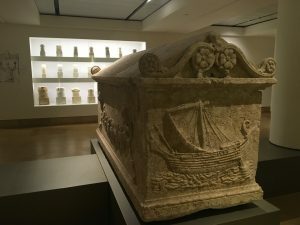 Echoing that thought, the Director of the European Institute of Cultural Routes Dr. Stefano Dominioni spoke of the Phoenicians’ Route as an “example of a cultural route of dialogue that brings together the different people of the Mediterranean” He linked this back to the institute’s very objective – having been founded right after World War II – to promote understanding among countries, and protect human rights and the rule of law. 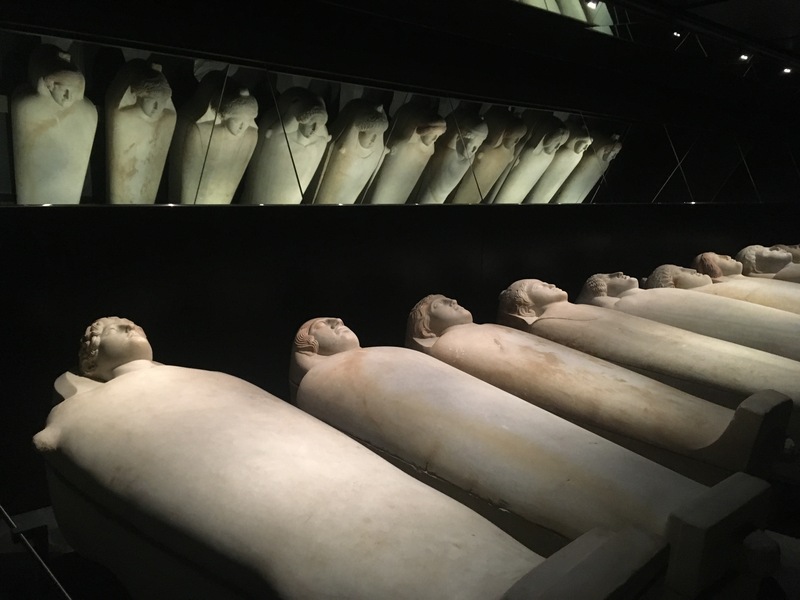 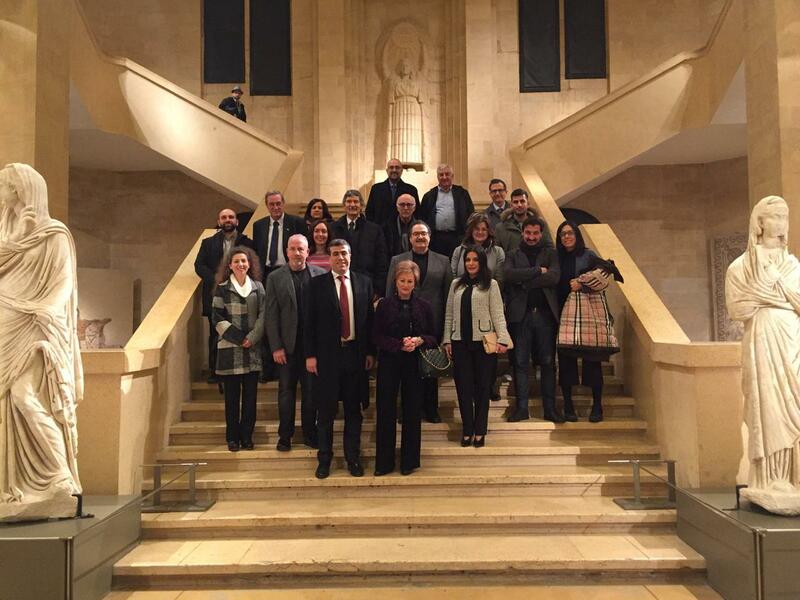 The three-day event kicked off with a visit to the National Museum of Beirut, where the delegation was received by Dr. Khoury. The event also featured tours and lectures in Byblos, Sidon, Tyre and Jounieh. 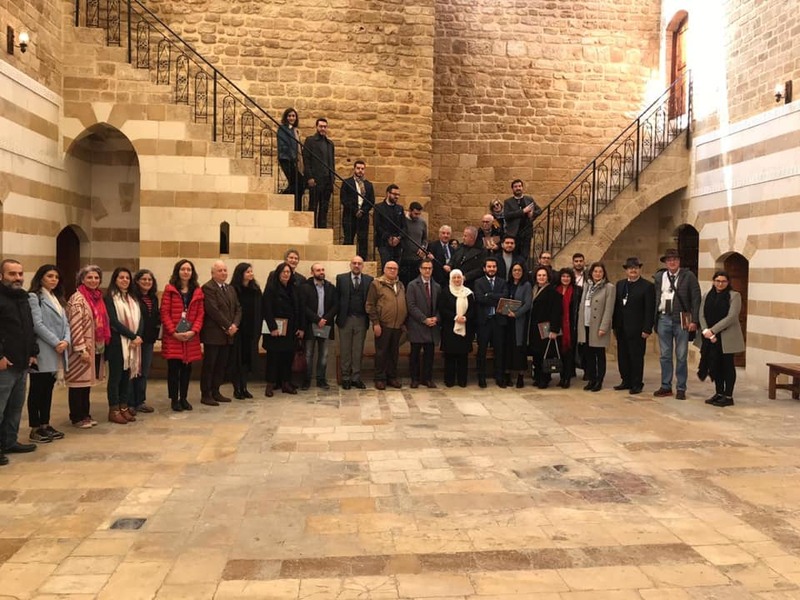 At each stop, speakers discussed the potential of the Phoenicians’ Route in driving tourism, conservation and heritage of the sites, as well as cooperation between Lebanese ministries, municipalities and the confederation. 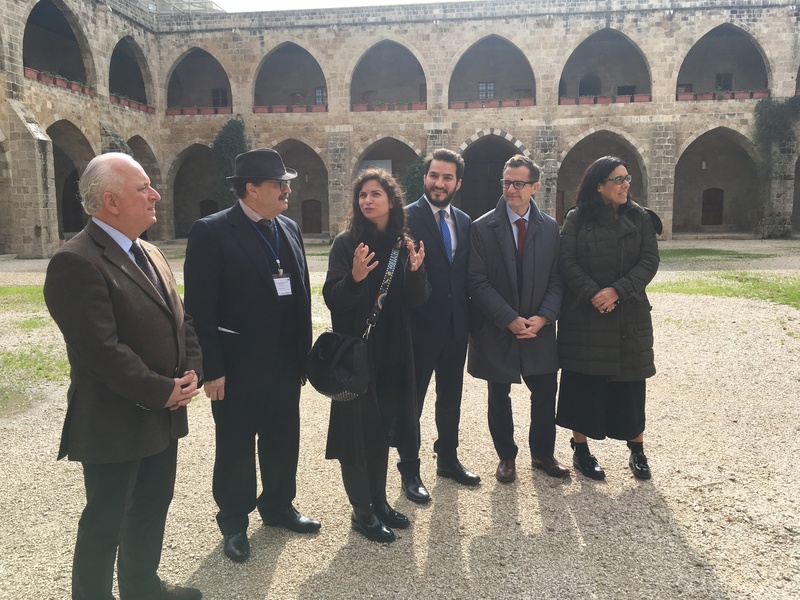 The first stop was at the Outreach and Leadership Academy (OLA) Foundation in Sidon, where MP Bahia Hariri and Mayor Mohammad Al Saudi hosted a special reception, followed by a tour of the old city. 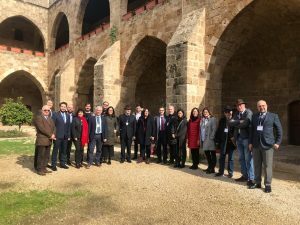 In Tyre, the delegation was welcomed by the Deputy Mayor Salah Sabraoui and taken on a guided tour of the city by Dr. Hassan Badawi, Head of the Department of Archeological Doctoral Studies at the Lebanese University. 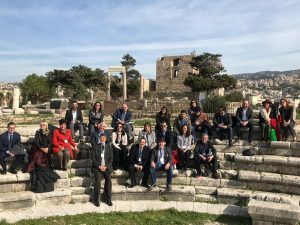 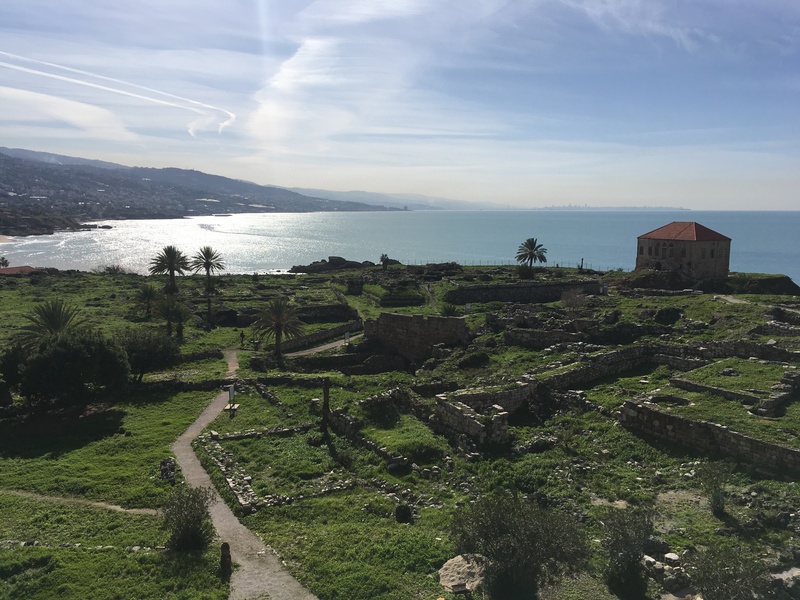 During the scientific conference – held at the LAU Cardahi Foundation Headquarters in the heart of Byblos’ Old Town – speakers from the Council of Europe, LAU and the Ministries of Tourism and Culture examined how the Phoenician heritage can be leveraged to boost tourism. 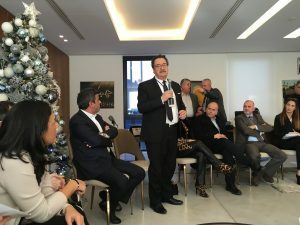 Former Minister Jean-Louis Cardahi gave an overview of LCF’s founding back in 1995, named after his late father who was a driving force in the city’s cultural life. 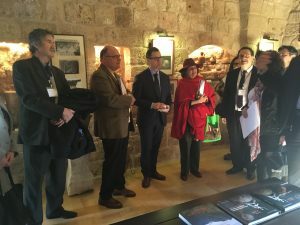 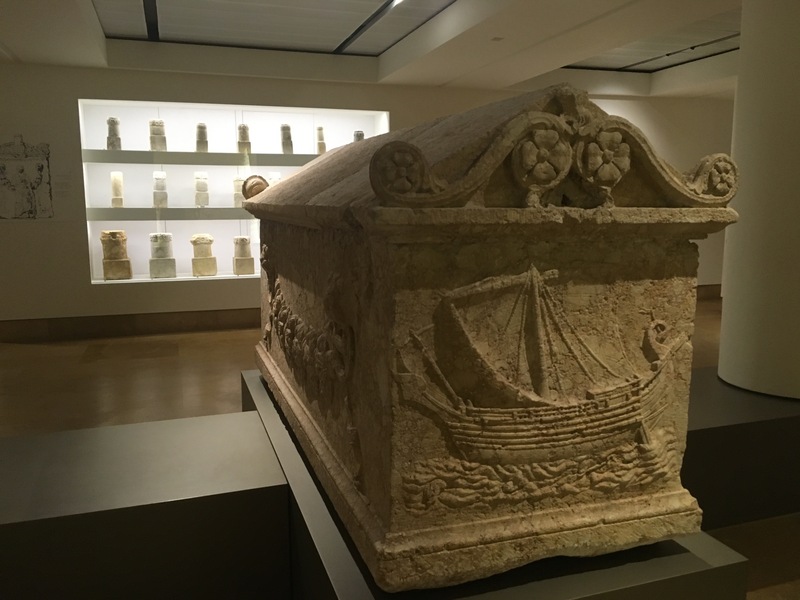 “Byblos is the ideal place to host the dialogue on the Phoenicians’ Route”, he declared. 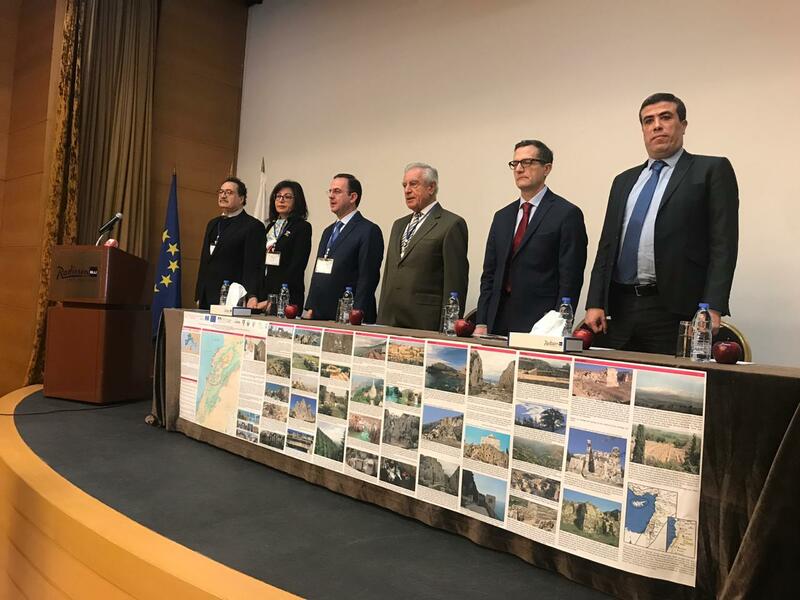 Notably, the Director of the Phoenicians’ Route Dr. Antonio Barone also presented a strategic action plan – highlighting Lebanon’s role – and emphasized the need for universities, museums, cities and municipalities to work collaboratively on strategy for “creative tourism”. 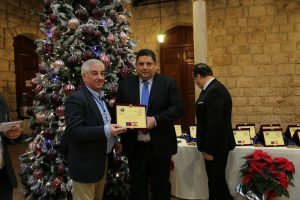 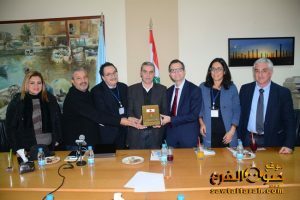 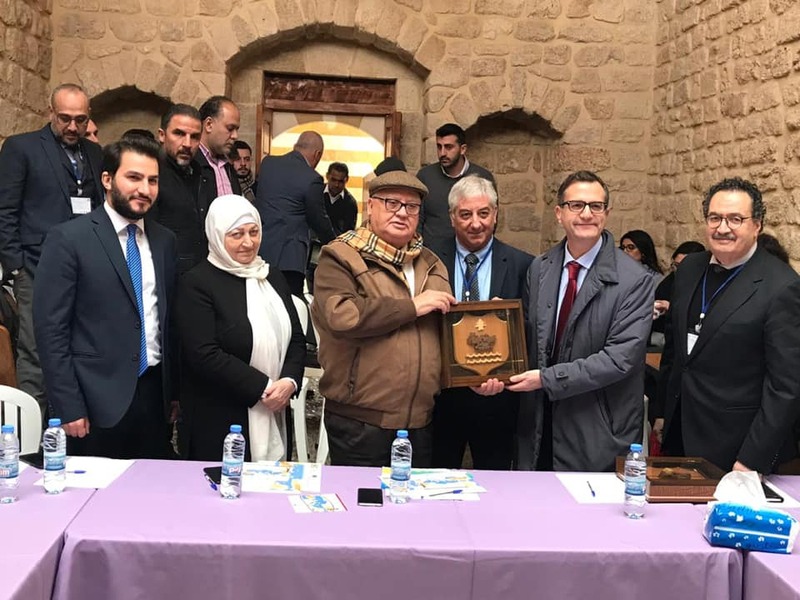 Following the sessions, attendees moved on to the Byblos municipality where MP Ziad Hawat and Mayor Wissam Zaarour presented a commemorative trophy to the Confederation. 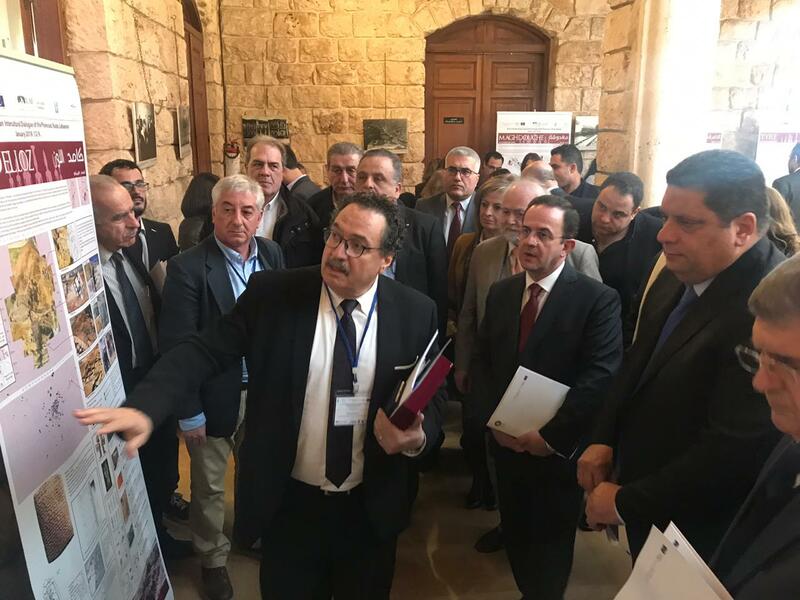 The event culminated in a visit to the Jounieh municipality – under the patronage and participation of Mr. Guidanian – where Mayor Juan Hobeiche was pleased to inaugurate the Phoenicians’ Route Exhibition, set up by LAU’s students of architecture.